Regardless of whether your end-users utilize your medical device in a hospital setting, a private healthcare clinic, or their home, if you plan on marketing a medical device in foreign countries, you will be required to localize the UI into other languages. Translating the user interface of a medical device is significantly more challenging than other translation services, such as the medical device's instruction manual. The reason for this is that device user interaces tend to have text that includes a lot of industry-specific terminology and abbreviations, which require knowledge of the field for both the source and target languages. Without this, a translator may have a hard time comprehending the importance of certain text, which could produce unwanted, or even life-threatening, situations. Check which file format your UI integration team or programmers are using. Typical formats include RC, XML, and XLS files. Make sure that your translation service provider and their translators have a solid understanding of not only your medical device, but also its purpose and functionality. Make sure the translator is able to understand what your text strings mean, and what they are intended to indicate to the operator. The length of a sentence, or even a single word, can vary greatly between two different languages. Since your medical device's UI may have inflexible size limits on various screen elements, this can cause problems when the ompleted translation is finally integrated into the device. Talk with your programmers and developers and make sure they understand these needs and limitations up front. Once you have the completed localized string filess, take video footage or screen shots of the localized UI in action to confirm with the translators that they have understood the right context. Use can also use these images later in your translated instruction manuals to save time and money. When foreign regulatory agencies and government authorities require your medical device be translated, begin the user interface. This way, when field names or menu options appear later in other documentation, you can be sure that they will remain consistent, and you can avoid having to go back and make costly adjustments or corrections later. Translations Services USA has extensive experience in the general medical field, medical device translation services, and in validation of UIs. 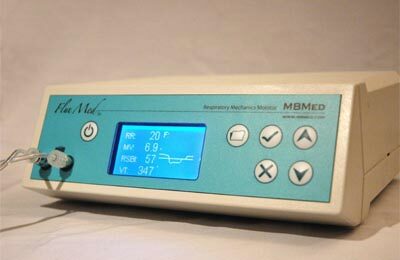 We know as well as you that the most important aspect of a medical device's user interface is that it remain both easy and reliable for people to use. We have over a decade of experience translating medical device UIs into over 150 languages. Our clients have included such distinguished names as the Dartmouth Institute for Health Policy and Clinical Practice and Remote Medical International. To request a quote or learn more about Translations Services USA's medical device user interface localization services, please contact us using our get quote request form.